Often forgotten about on world maps, Tasmania is almost Australia's best kept secret. The island state is surrounded by some of the most picturesque and unique coastline this country has to offer, and with that comes some truly beautiful coastal towns. Whether you're looking to invest or buy, Tasmania has a lot to offer in terms of property. Here is our list of some of Tasmania’s top coastal suburbs for homebuyers to consider. Dream of living by the coast? How much equity can you access? Don't know your property value? The small town of Bicheno is a seaside town perfect for families on Tasmania's East Coast. Located near the Freycinet Peninsula, this town is a wildlife haven, with diving, walking, bautiful reefs and fishing available to explore. While the town is mostly made up of retirees, there is an abundance of activities open to travellers, such as penguin tours, national parks and a great range of fresh seafood up on offer. The small population only adds to the charm, and paired with the reasonable median house price this location could be the right fit for a family home or investment property. Got your eye on a property down the street? Find out how much it's worth with our free property report. Just a stone's throw away and also located on Bass Strait is the picture perfect seaside town of Penguin, which gets its name from its feathery arctic friends that can be seen each night at Penguin Point. Penguin covers around 45 square metres while the community is primarily made up of young couples with children. There is plenty to do in this breathtaking town that hosts Tasmania's biggest Sunday markets, with more than 200 stalls selling food, wine and homeware - it’s only fitting you buy a home here! Looking to buy a bit further from the coast? Have a look at our 4 beautiful country towns in which to buy property in Tasmania . If you’re looking for a sea change, look no further than Coles Bay. Just 2.5 hours out of Hobart this gorgeous seaside village is the perfect place to escape the big smoke each weekend. 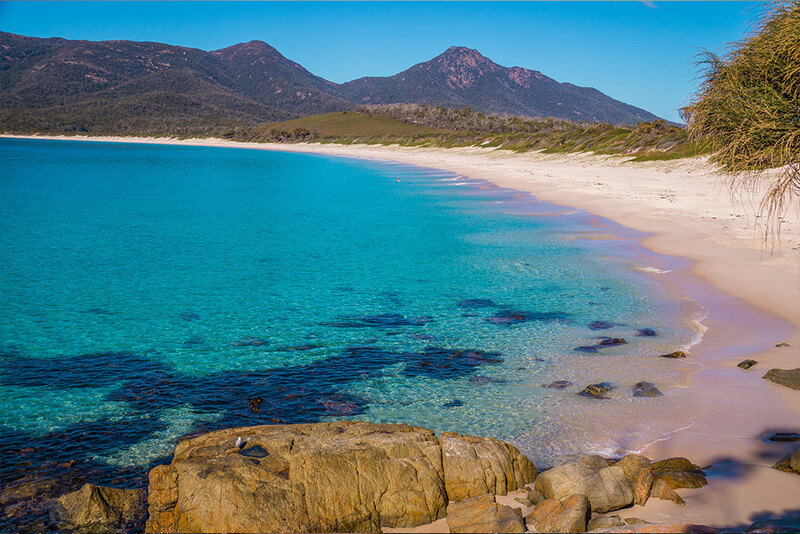 If you’re an avid hiker the Freycinet National Park offers spectacular scenery including famous Wineglass Bay, which earned its name and a spot in the top 10 beaches of Australia. The town is mostly comprised of childless couples and hosts a small population, but is a very popular travel destination. In this beautiful seaside town there is no need for an Instagram filter. White, blue and ochre line the coast, dancing together to make for one of the most relaxing towns in Tasmania. 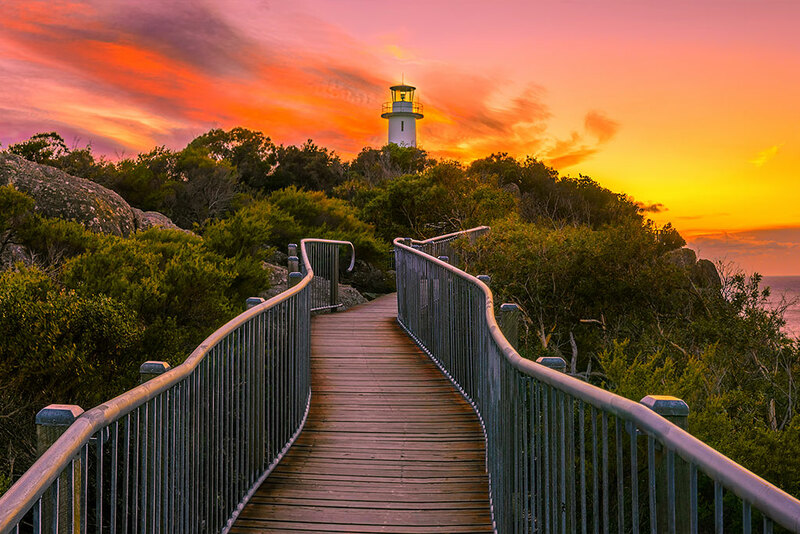 Coastal drives, hikes and snorkeling are some of the many activities to be enjoyed in Binalong. 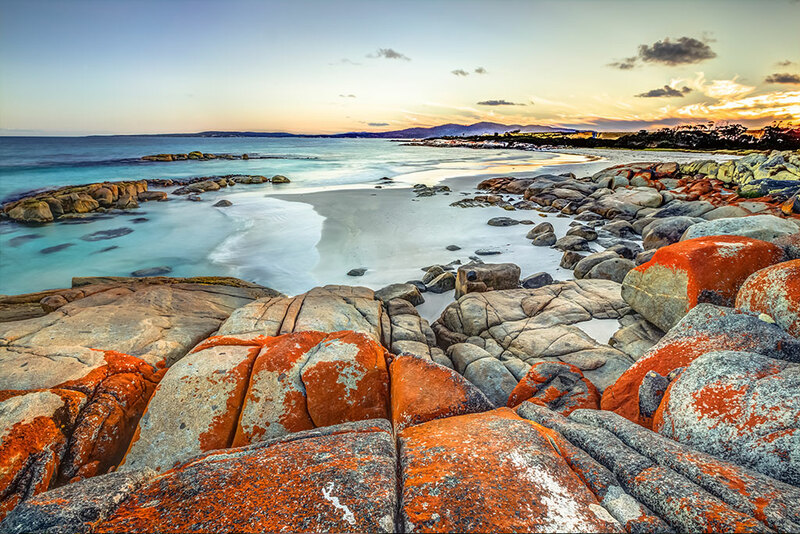 Otherwise known as the 'Bay of Fires,' the coastal landscape features rocky gullies splotched with red, of which this town is famous for. Mainly populated by retired couples, the median house price is a little more pricy than some on this list. Binalong Bay is the perfect place to set up camp if you’re looking to hang up your work boots and dip your toes in the water, and alongside the small population and picturesque views, you may feel you have discovered your own private part of Tasmania. Discover how much you might need to pay in Tasmania. 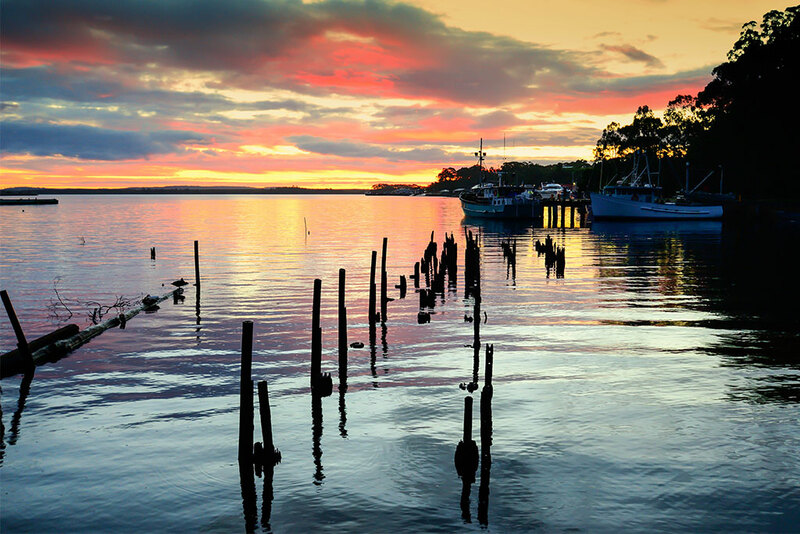 All the way on the west coast lies a small port town known as Strahan and if you’re a fan of sunsets, this is the place for you. 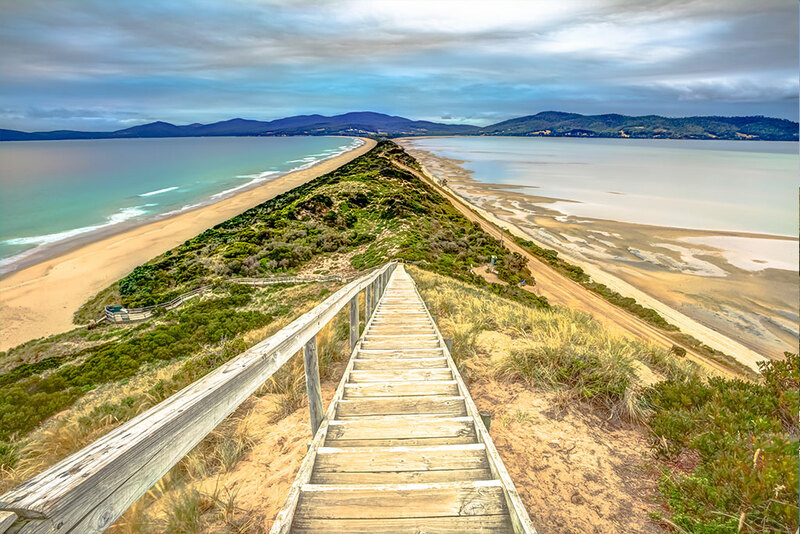 Strahan is also a significant locality for tourism in Tasmania and has also brought a liveliness to the region making it suitable for both home buyers and property investors. The median house price, being extremely affordable, makes buying in this area a possible smart long term investment, or a fabulous home if it it is a fit for you. The beautiful coastal town has primarily young couples with children, making it an up and coming coastal town. Just a 4.5 hour drive from Hobart and a 3 hour drive from Devonport, this is one of Tasmania’s best kept secrets, but perhaps for not much longer. 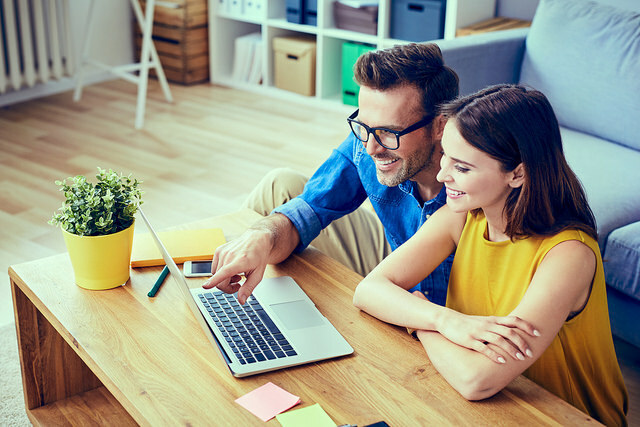 Find out if you can save with a lower interest rate.